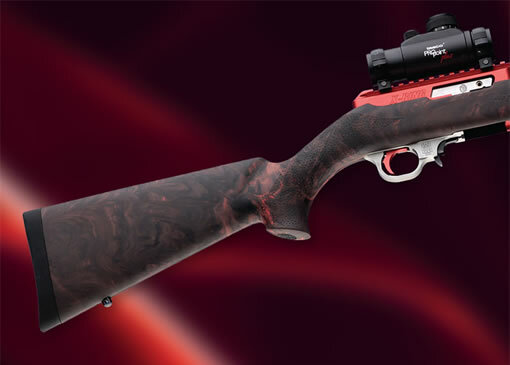 The newest addition to Hogue's line of rifle stocks is the attractive OverMolded� Red Lava soft rubber stock. While featuring the same sleek straight comb, palm swells and Cobblestone� texture as Hogue's other stocks, the Red Lava stock offers a unique appearance. Rifle and scope shown in picture are not included with the stock.